When we talk about changing the world, here in the west we often we think of complicated, tech-heavy, revolutionary ideas. It’s easy to forget that through provision of basic health care, and health education, we can make a huge difference for so many communities, across so many countries. 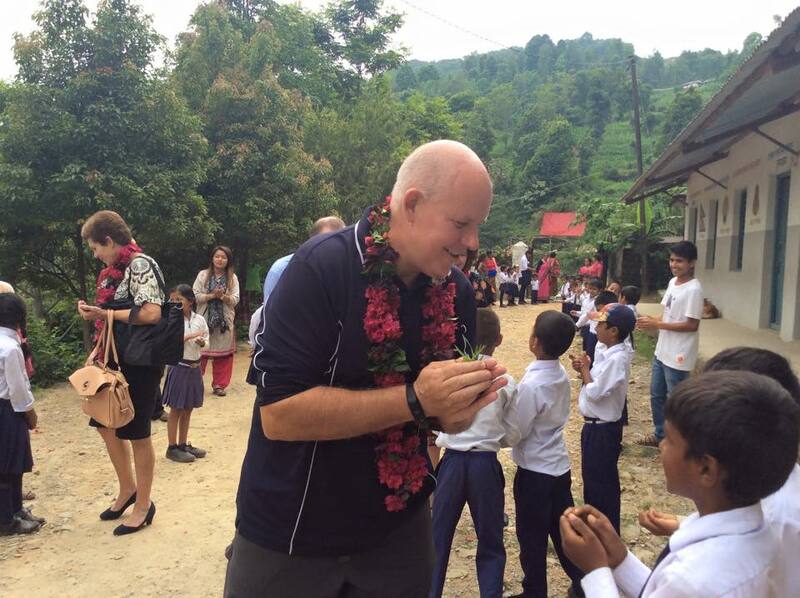 Here in Nepal, the transformative power of health care is apparent every day, and the great need for more health resources to prevent the regular epidemic spread of infectious disease. Many people don’t realise, Nepal actually has a bigger population than Australia. With nearly 27 million people in such a tiny country, and in such a harsh environment, it’s no wonder that so many Nepalese are missing out on basic services and opportunities. 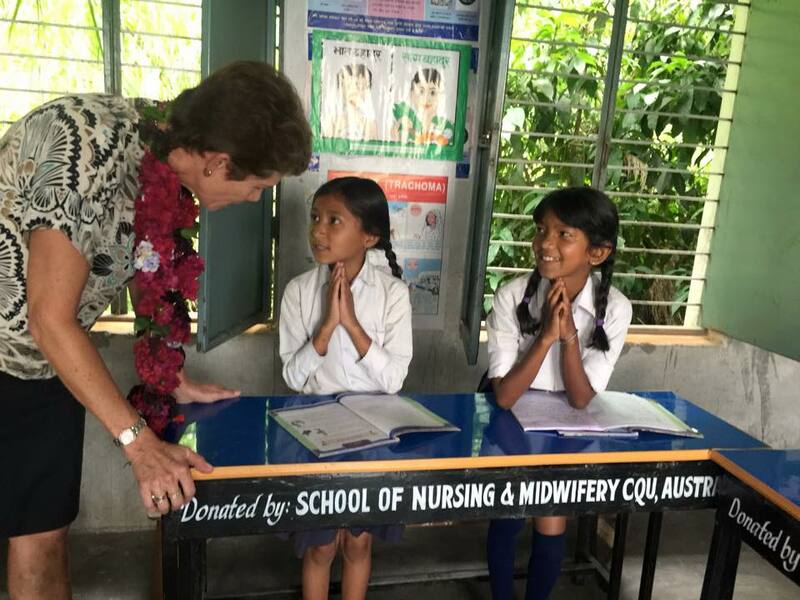 CQUniversity has been building our partnerships in Nepal for more than eight years now, and much of the credit goes to Kerry Reid-Searle and the School of Nursing and Midwifery, who forged initial ties in Pokhara. Since 2008, CQUniversity has partnered with the Antipodeans agency to provide students with clinical placements in Pokhara’s Fishtail Hospital and Research Centre and Gandaki Hospital, regional health camps, and health outreach with the Children of Nepal, a not-for-profit providing shelter and care to homeless and destitute children. 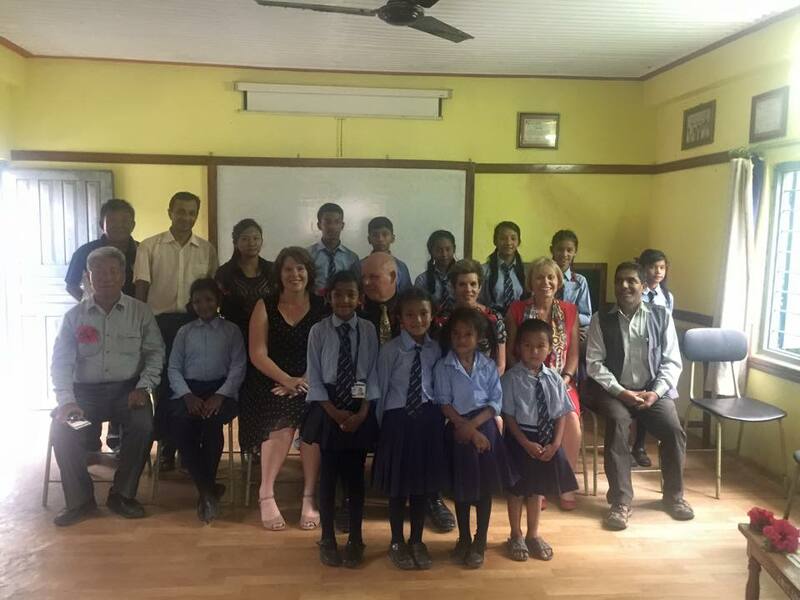 Again through the School of Nursing and Midwifery, CQUniversity began sponsoring Children of Nepal in 2009, and many of the students who have participated in the Nepal exchange have also become personal sponsors. In recent years, some of these valuable exchanges opportunities have had the support of the Federal Government’s New Colombo Plan and on the ground it is clear they are invaluable learning opportunities for our students, and the experiences and skills developed stay with them throughout their careers. On this trip, we have also begun to cement new partnerships, in line with our comprehensive offerings and social innovation agenda. In Pokhara, we signed a memorandum of understanding with Pokhara University, for student placements, and social innovation projects. And 15 kilometres outside of Pokhara, we visited Shree Bhagawati Basic School, and officially handed over furniture purchased by Nursing and Midwifery fundraisers. The sparse facilities of the school, and the enthusiasm with which we were welcomed, show just what a difference this donation will make – my heartfelt thanks to the Nursing and Midwifery team who first visited this school, and set about making a difference to the lives of its students. Since 2008, hundreds of CQUniversity students have undertaken these invaluable placements. Combined with our practical and engaged Nursing and Allied Health programs, and Australian placement opportunities in both urban hospitals and some of the country’s most remote health care providers, it’s this diversity that makes our graduates so employable, and such changemakers in their careers. And on the ground in Nepal, the time that our staff and student commit to these projects is clearly making a difference. Growing our local partnerships can only grow our impact for this incredible country, and visiting has renewed my commitment to CQUniversity’s mission for change.